Sequel to the resignation of World Bank President, Jim Yong Kim, eligible candidates have started to signify interest in the top job. 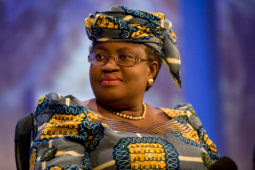 One of them is Nigeria’s former Minister of Finance, Ngozi Okonjo-Iweala, who has also expressed her readiness to take on the job. If Okonjo-Iweala gets the job, she would be the first female and first African to head the global bank in its 73 years in existence. The current president of the World Bank, Jim Yong Kim, had earlier in January announced that he would be stepping down from his position after more than six years in which the institution’s shareholders provided strong support to multiple initiatives to ensure that the Bank Group retained strong leadership in the world of global development. Okonjo was at one time, the Minister of Finance in Nigeria under former presidents, Olusegun Obasanjo and Goodluck Jonathan. According to Wikipedia, she has been at the World Bank for 25 years, where she rose to the position of a Managing Director, (Operations).